Most of us, who are working as a project manager, realize and appreciate the importance of PMI® certification in our career in the long run. This is all the more true for IT and services industry as compared to any other industry where project managers are made based on your previous performance to lead a team and not project. How many of you must have decided to go for PMI® Certification, but the enthusiasm and the rigor to prepare for it swoons by and by. Have you were wondered what could be the reason for this lack of determination? Why is it that we want something and understand its need yet succumbs to work and personal life pressures? The reason behind all this dilly dallying with your career’s most important decision is the lack of determination, discipline and right approach. I, from my personal experience would unfold how to approach right way for most esteemed and valuable PMI® Certification. Here are some tips which will become a guiding light for all the Project Management aspirants. Why I Want to be Certified: There are numerous blogs and articles on why one should get certified, but only you can decide what your motivational factor is. While any certification is an asset and knowledge gained through will always be a help in your life, certification should also be in line with your medium to long term goal in life. Take your time to decide. Do not take a knee jerk decision for certification under some influence. Baseline Study Plan: Fortifies your time boxed approach, It’s alright to change your plan, but base line planning brings in serious attention. Mock Test: Again, numerous free and paid tests available on Internet. If you are enrolled in a professional training institution, take a test package from them. PMI® constantly keeps improvising their questions in terms of difficulty, flavor etc. There are some mocks which are extremely difficult and many find it impossible to get passing score – No need to get disheartened if such tests are only to raise your bar and not aligned with PMP® exams difficulty level. Whichever mock tests you choose, make sure they are in line with the latest trend of questions appearing in PMP® examination. Hope, you must have found a direction to kick start your PMI® journey. Wishing you all the best!! Share your queries and feedbacks on the same on our Discussion Forum. You can also log into our YouTube channel watch the video on the related topics. Getting confused? 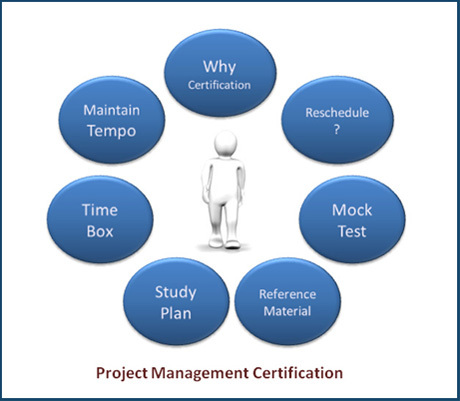 How to prepare for your PMI Certification? Learn 7 Effective Steps to Plan Your PMI Certification. Check if the certification is in line with your medium to long term goal in life.